Received M.D. from Michigan State University, completed family medicine residency at the University of Arizona, integrative medicine fellowship at the Arizona Center for Integrative Medicine, the top program in integrative medical education worldwide directed by Dr. Andrew Weil as well as medical acupuncture training through the Helms Stanford-UCLA Medical Acupuncture Program. He has been a volunteer clinical preceptor for advanced practitioner students from Vanderbilt and TSU. 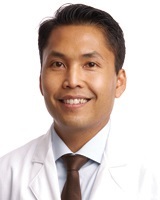 He's passionate about helping patients achieve optimal health through evidence-based lifestyle choices, natural therapies, and recommending medications and procedures when necessary. He enjoys reading, hiking, and spending time outdoors with his wife and kids.